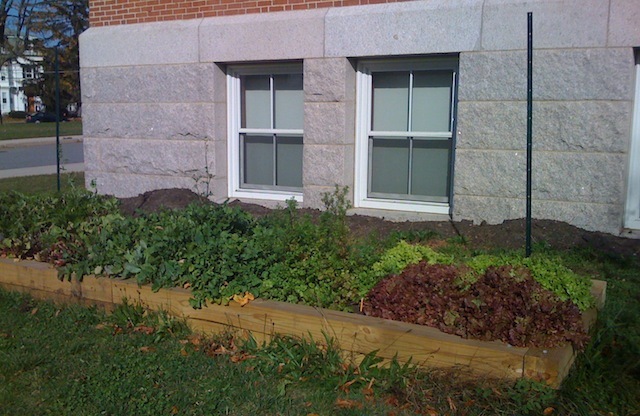 Begun in 2007 as our first school garden, the McDevitt garden runs along the whole south wall of the McDevitt Middle School. Two large raised beds are the cornerstones of the garden; raspberries and asparagus ferns can also be found there. 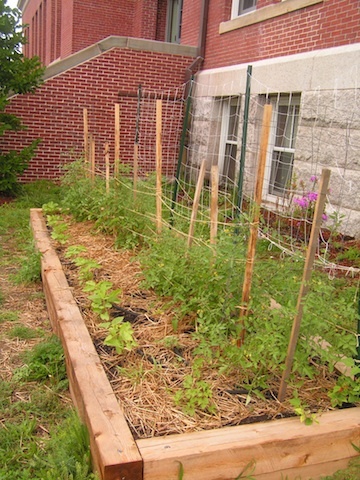 A few years ago, the garden was used for after school programming and a garden club. 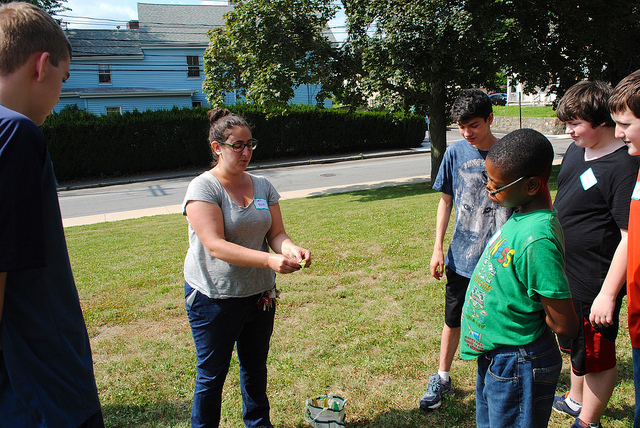 Most recently, the garden has been used for Healthy Waltham’s garden to table summer programming in partnership with the special education classes. Students enjoyed planting a variety of herbs, cherry tomatoes and greens which they then harvested and brought inside to be used in healthy dishes they helped prepare with Healthy Waltham’s chef. Check out more photos from our 2015 summer program here.